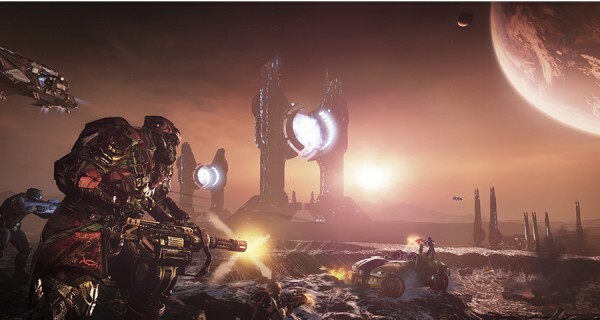 Project Legion was announced by CPP Games during its annual EVE Fanfest as a PC re-imagining of DUST 514, and between the backlash from DUST fans and CCP admitting the PS3 online shooter “wasn’t a great game to begin with,” it called for patience as sometimes, it takes a while for great product to get going. Speaking with Polygon at the event, Sean Decker, VP of product development at CCP, reiterated that just like Eve: Valkyrie before it, Project Legion’s development depends on fan feedback. “I ran DICE for awhile, and the first shooter game out of DICE was a game called Codename Eagle, which tons of people don’t know anything about, and never would, and probably shouldn’t,” he said. “It was horrible, and at the end of the day, teams usually have to do multiple iterations of something to get to something really great. “We want to take the things we’ve learned from DUST, and yes it’s in the same IP, same place and all the rest of it, but we want to do some fundamentally different things with it that we feel we missed out on and that we didn’t do right. Honestly, we didn’t make a great game to begin with. It has to be a great game. “We tried to do too much [with DUST] honestly in terms of connecting it into the universe and there’s this MMO piece and all the rest of it. Decker said the firm plans on DUST 514 continuing to evolve over the years, providing the audience is still there. During Fanfest, DUST’s executive producer Jean-Charles Gaudechon, who is also one of those behind Project Legion, reiterated Decker’s comments to the crowd, stating that the game isn’t going anywhere. Those who play DUST 514 will be able to keep all PS3 progress such as identity, player name, objects, and the rest if they wish to migrate over to Project Legion.